We are all becoming increasingly subject to them--those annoying, intrusive and illegal pre-recorded telephone sales pitches called robocalls. We all are becoming increasingly subject to them—those annoying, intrusive and illegal pre-recorded telephone sales pitches called robocalls. But now there’s a way we may be able to eliminate them for good! Inventor and Long Island resident, Aaron Foss, has developed a system that intercepts illegal robocalls before they reach a consumer’s phone. Unlawful calls are blocked while legal calls are allowed to go through. “I know how annoying they are, how they always seem to call while you’re sitting down to dinner,” said Foss, 34, of Port Jefferson. Foss and a rival software developer recently split the $50,000 top prize in a Federal Trade Commission contest to develop a way to block the unruly pre-recorded messages. The FTC receives more than 200,000 complaints every month from irritated consumers fed up with robocalls. 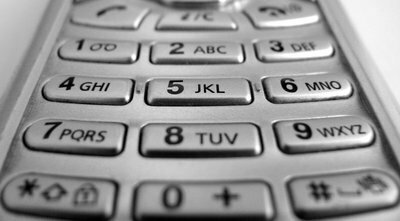 Technology, the Commission confirms, is the reason robocalls are on the rise. Companies are using autodialers that can send out thousands of phone calls every minute for an incredibly low cost. In his Nomorobo Demo Video, Foss explains that his invention prevents these calls from getting through using conditional call forwarding, which is widely available through most phone carriers. This feature allows phone calls to a single phone number to ring on multiple phone lines. If no threat is detected, Nomorobo does nothing and the call goes through normally. If a call comes in that is suspect but not blacklisted, Nomorobo uses the caller ID header to analyze its pattern and frequency and compares it to data on a real-time black and white list. If a threat is suspected, Nomorobo presents the caller with instructions to enter a number. If no number is entered, the call is proven to be automated and is immediately blacklisted. Foss’ invention works on traditional land lines, voice over IP systems and cell phones and requires no additional hardware or infrastructure changes. His cloud-based detection system is inexpensive to implement and just may be the solution to permanently eliminating those illegal, intrusive robocalls. What’s your opinion? We welcome your comments below or on our Long Island Living Discussion Forum! Subject: LongIsland.com - Your Name sent you Article details of "LI Inventor Earns Federal Grant for Robocall-Blocking Innovation"